Microsoft is swallowing up yet another Dynamics CRM specialist after coming to an agreement to take large chunks of close companion Adxstudio in house. 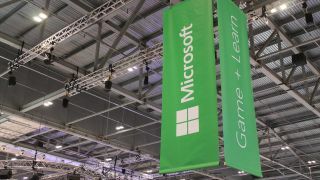 A blog post announcing the deal confirmed that Microsoft is taking Adxstudio's key products and technology assets and leaving behind the firm's consulting business that will be turned into a new organisation. Adxstudio is a creator of web portals, online engagement solutions and application lifecycle management solutions for Dynamics CRM and has been a partner of Microsoft for quite some time. In addition to this, Bob Stutz, corporate VP of Dynamics CRM, explained that the acquisition brings a swathe of pre-built engagement solutions to the plate. This includes partner relationship management for companies that sell through partner channels, technical support for high tech and software development organizations, and online citizen engagement for the public sector. Microsoft has been building up its Dynamics CRM unit in recent times ahead of the release of Dynamics CRM 2016, which will arrive in Q4 2015 and bring with it a range of improvements to intelligence, mobility and services. It is also transforming the way its CRM works by adding advanced machine learning to Dynamics CRM in order drastically change the way that businesses work with customers. Following the deal, for which terms have yet to be disclosed, most of the Adxstudio staff will remain at its Canadian office at first before transferring over to Microsoft in the future.